In a forest-lined neighborhood nestled in a corner of Bethesda, Maryland, I sit on a worn couch accompanied by my laptop and a jar of peanut butter. Carefully peeling through search result after search result, I find a census report with a familiar name, a name that is not my own, but runs through my veins. I’m spending the summer before my junior year of college living hundreds of miles from my Midwestern home. My family has always been tightly knit, so I look for ways to maintain that part of my identity while being so far from them for the first time. It has always felt odd that I know so little about where my family comes from. 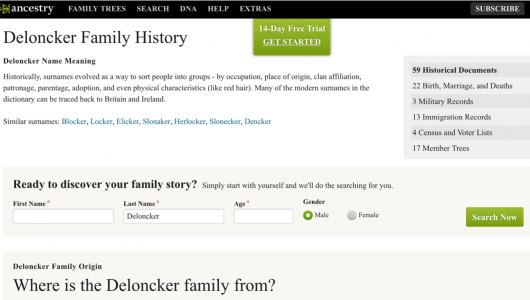 It’s time to find out more about my family history. My understanding of my bloodline stretches only two generations before me. I have no concept of when my family came to America. I’ve assumed it must have been many generations ago since it was never discussed. My father never knew his biological father. When his mother remarried, she changed my dad’s last name to match that of his adoptive father. With that and the relatively small size of my dad’s family, I wasn’t left with much to work with. I’m wanting more. So as I search for information about that side of my family, I find only one document. It leaves me with more questions than answers. Slightly discouraged, I accept the lingering mystery and move on. I learn my mom’s father was first generation American on his father’s side. My heritage feels oddly tangible with the knowledge of that one fact. 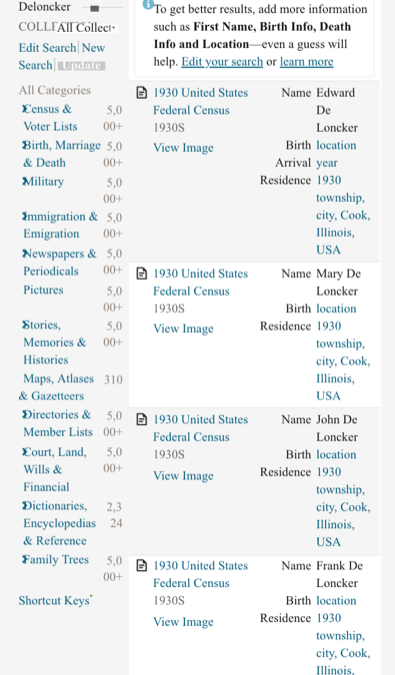 Frank and Annie DeLoncker were my great-great-grandparents, and presumably the first to come to the United States. Both born in Belgium, they had a son named Edward, my great-grandfather, who was also born in Belgium. In the late 1920s, they settled in Chicago where my grandfather and his brother were in the first of that line to be born in the United States.it was for financial reasons. Since unearthing these choice nuggets of my ancestry, I often wonder what Frank and Annie would think of whom my siblings and I have become. Hopefully they’d be proud of the lives we’ve built, but of course I can’t be certain. Gaping holes in the narrative remain. Sure, I can find where they were born and where they lived once they moved, but the census records won’t tell me what motivated their migration. Perhaps it was just to have a fresh start or perhaps it was for financial reasons. I don’t know, and I may never know. Some surface level research into Belgian culture leads me to think that my family’s history may have a stronger pulse than I thought. I haven’t found any secretly Belgian foods in my family’s diet or hidden holiday traditions. One search result catches my attention. Belgians apparently see their obligation to their family as a top priority. It’s common for them to stay in the towns in which they were raised to maintain large family networks. My mom is the youngest of seven kids. Five of the seven, including my mom, still live in the same Chicago suburb where they grew up. Another one moved only within the past year. 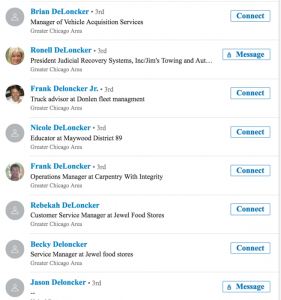 Further, my four siblings and I have also all been raised in the same Chicago suburb. It seems I’m not as far removed from where I came from as I thought.